We ended up leaving and headed over to Chill Winston instead. It was beginning to sprinkle and luckily we got a table pretty quickly inside. Immediately, Lionel noticed that the scenery was indeed quite nice (staff and patrons alike). I concurred and found it fortunate Viv wasn't around. I guess by virtue of her reading this, I'm a dead man... The place definitely has a nice vibe to it. For me, I do like this type of restaurant every now and then. Wanting the best of both worlds, Lionel Hutz ordered a Spinach Salad and added the steak from the steak salad. 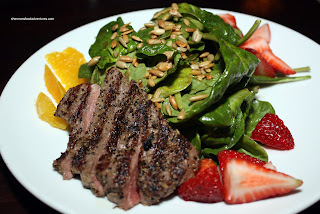 It was a mix of Baby spinach, sunflower seeds, strawberries, or anges, goat cheese with a balsamic pear vinaigrette. He liked the salad; but thought that the steak was overly salty. Moreover, he was never asked how he would like the steak done. Mind you it came out a perfect medium-rare. He was a bit miffed at the extra $6.00 for the steak since both salads were roughly the same price. 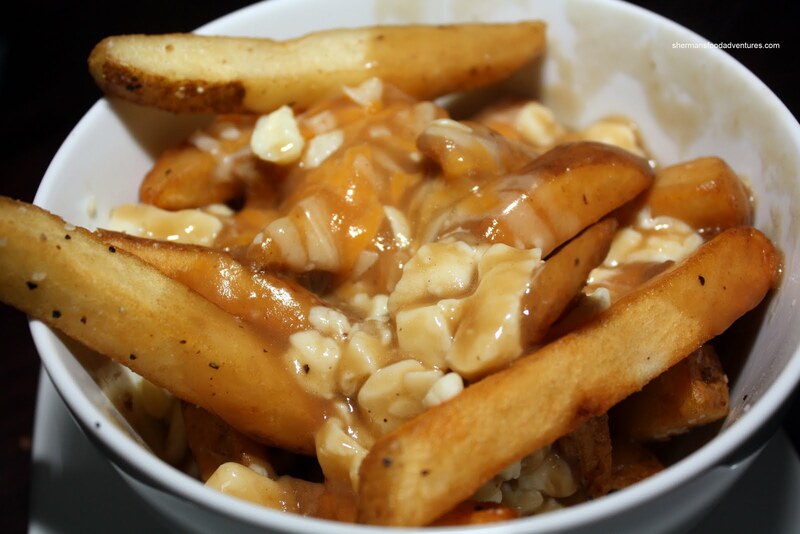 I decided to get an order of the Poutine to start. I liked the Jack Daniels demi-glace; however, I didn't get much in the way of JD flavour. I wasn't a huge fan of the cheese. For some reason or another, the texture reminded me of crumbled dry tofu. The fries were nothing special; yet they did their job. For my main, I went for the Bison Short Ribs. Not sure why it was plural since there was only one rib... Now, that one rib doesn't look all that big; but I assure you it was enough meat. It was fork tender and had a smoky molasses flavour with a touch of bourbon. 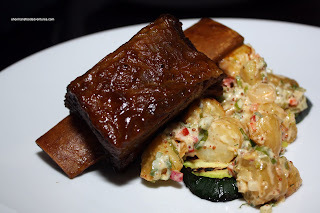 It was accompanied by a wonderful potato salad and grilled zucchini. Polka King had the Halibut which was supposed to come with corn on the cob and rustic summer salsa with black beans and white wine reduction; but they didn't have any corn and substituted asparagus instead. He enjoyed the properly cooked items; but he questioned if it was really worth the price he paid. That brings up the idea of value once again. 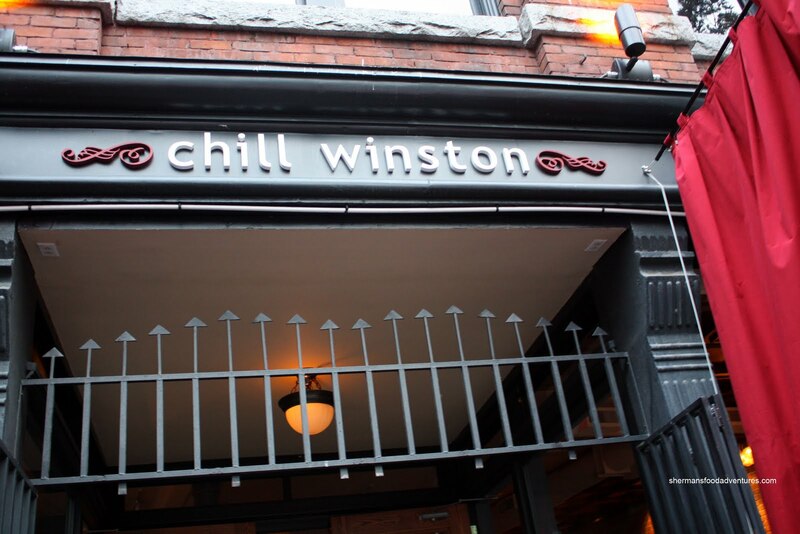 Of course we can never compare ethnic Asian restaurants with places like Chill Winston. 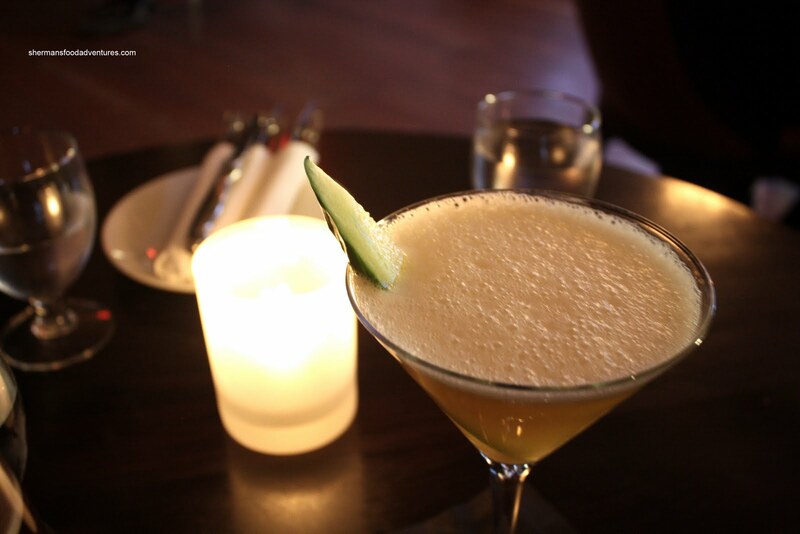 The price we pay takes into account the location, style, staff and raw materials. 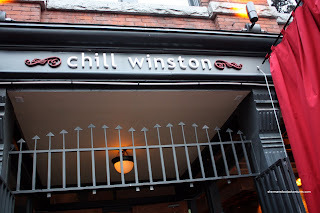 If you merely want value, Chill Winston may not be the place for you. However, if you want a hip place to hang with some friends, eat decent food and see and be seen, this is the place for you. "Asian food has to be the best value around"
I don't believe that is a fair comparison, not to mention I am assuming the statement is based in Vancouver only. Furthermore, a lot of times this is not a straight comparison. I mean, sure you have cheap Chinese eateries but you have expensive ones as well - a lot of times the comparison is made based on a cheap Chinese one to a mid-of-the-road Western eatery. At the same time, there are a lot of cheap Western type eateries (Bon's Off, Burger Burger, Brave Bull, though, granted these are Chinese operated) and then izakaya/Korean food tends to be more expensive than a lot of Western cuisine. However, but most people don't visit/mention it either... In the end, it is all about supply and demand. Oh, c'mon, Viv won't kill you. I mean, it is the same as a window shopping! But, back to the food here, well, it is a case of the place. It being located Downtown, I don't necessarily expect large portions and not necessarily well priced - unless you go to an AYCE. I wonder what was going through Lionel's head. Dude, a salad???? *shakes fist!!! * In my case, I would have ordered the steak salad instead. But, yeah, the price thing is a low blow. 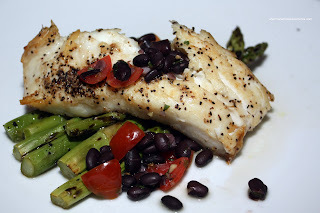 i thought the prices of the entrees were relatively reasonable, especially for the halibut. then again i suppose it's all relative as it looks quite small. the appetizers? oh yeah, overpriced!! Trisha, I thought my short rib was decently priced. However, the appies (like you mentioned) and some of the other entrees, considering the portion size are a bit pricey.